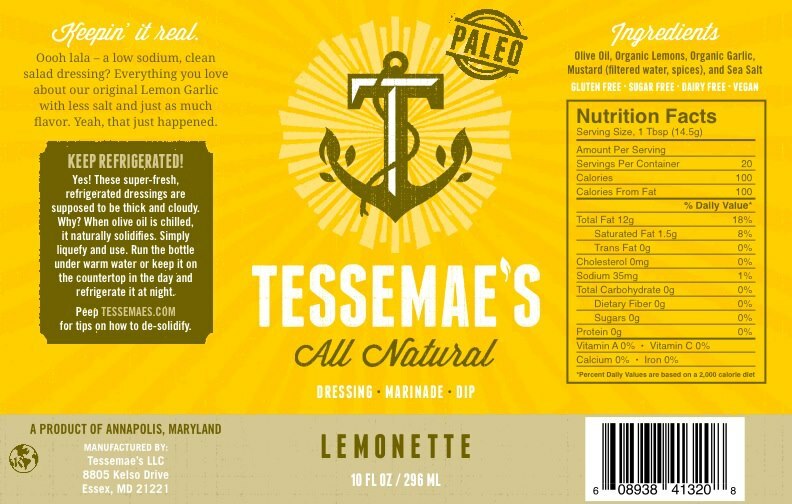 The story of how Tessemae’s Salad Dresssings came to be started with a mom of three boys who wouldn’t eat their vegetables – nothing unusual here except that the mom (Tessemae) convinced her sons to eat their veggies by flavoring them up with homemade salad dressings made with simple all natural ingredients: olive oil, lemon, garlic, mustard, sea salt, distilled vinegar, red peppers, balsamic vinegar, soy sauce, red wine vinegar, date puree, red wine vinegar, worchestershire sauce, organic honey, and spices. The rest is history. 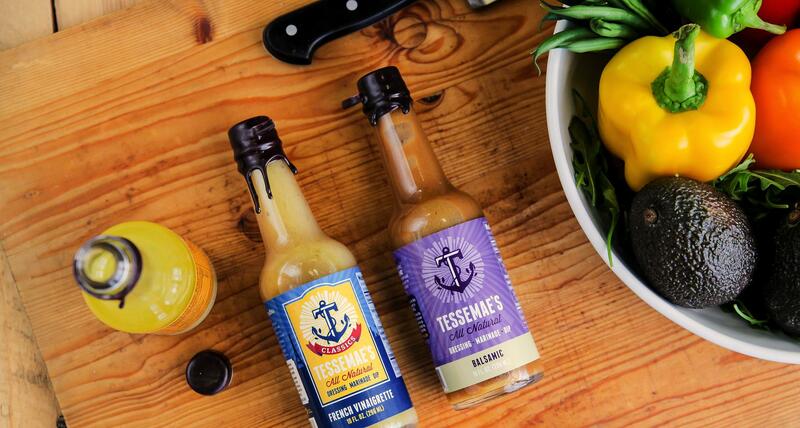 The boys grew up, realized their mom made some pretty incredible salad dressings, and decided to start a company selling her fresh, delicious dressings and sauces. 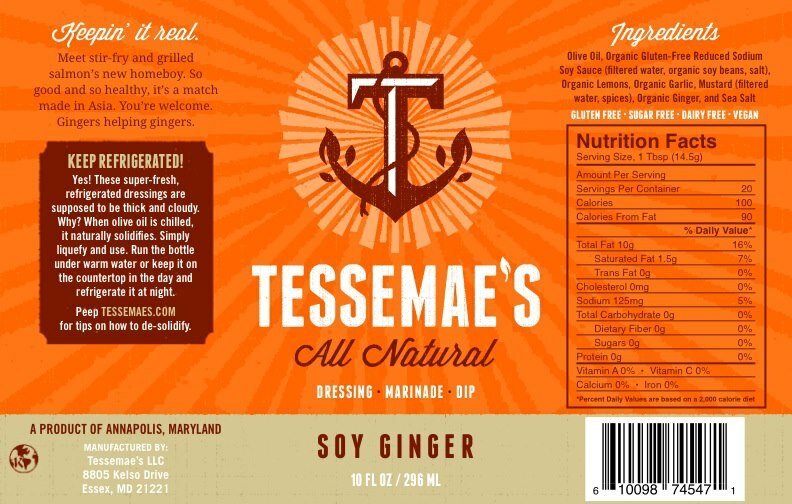 Tessemae always taught her children to read labels and check the ingredients. She kept it real and still does. 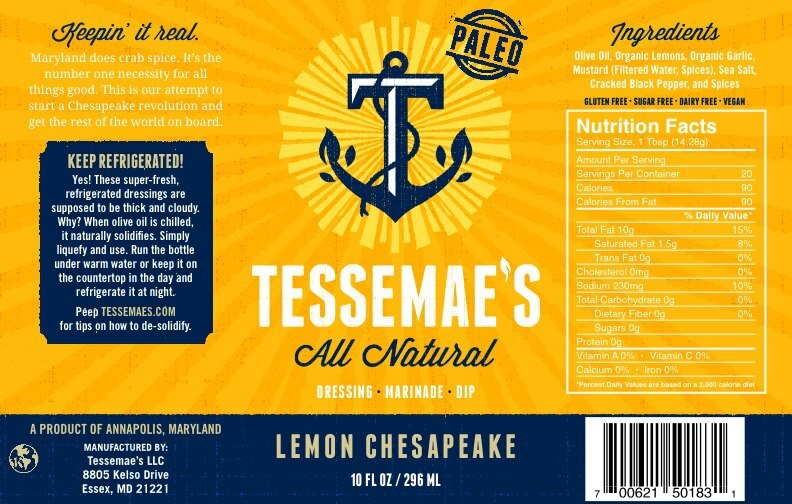 Check out the ingredient list of any of the 14 salad dressings and you’ll be impressed – no added sugar, preservatives, artificial flavors or colors. 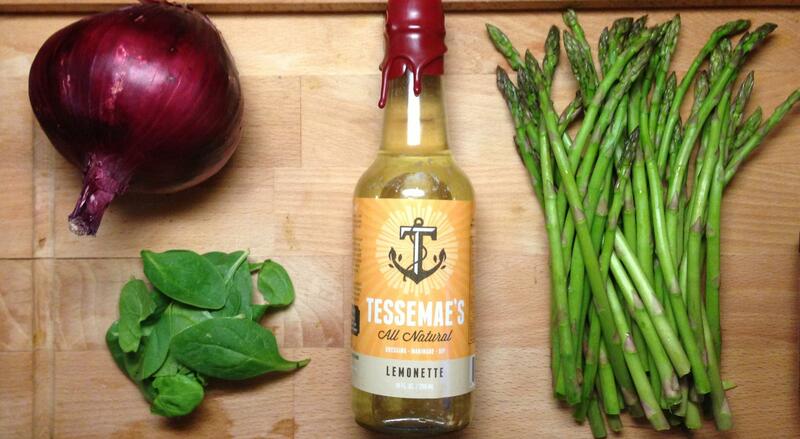 Just simple recognizable ingredients that should be in salad dressings. But, the most important attribute is the taste: tangy robust flavor anchored in high quality olive oil (except the two non-fact versions) that taste awesome. 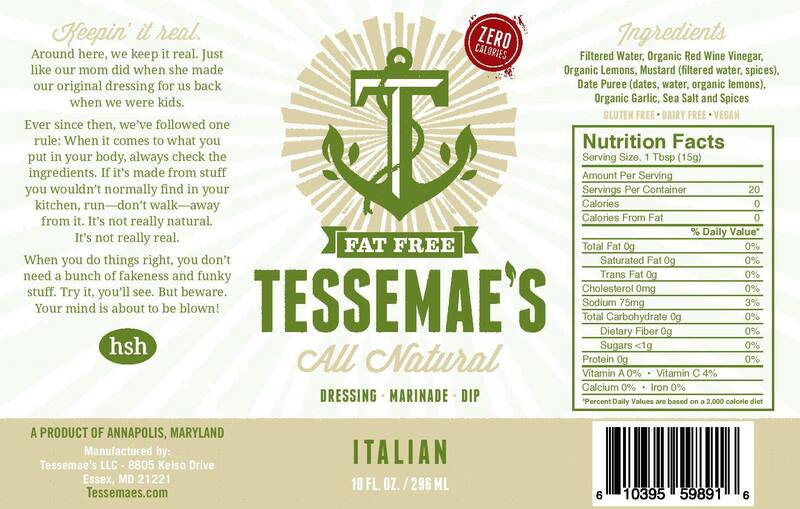 Classic Italian: Forget about the spice packet and do-it-yourself salad dressing bottle. 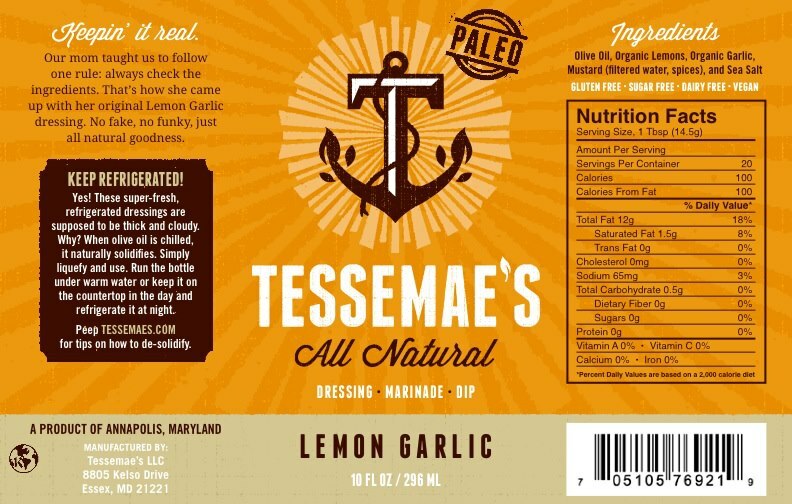 A new creation based on a classic old recipe for Italian dressing that includes olive oil, red wine vinegar, lemon juice, organic honey, garlic, and spices. 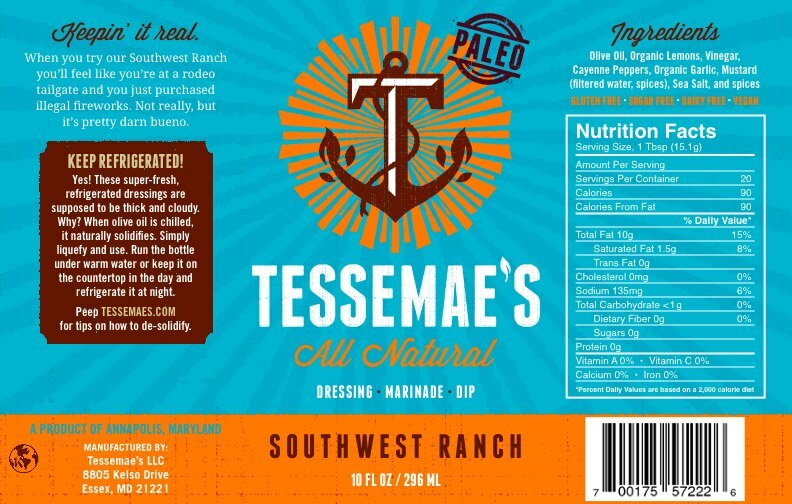 Classic French: One of the newest creations by Tessemae’s. 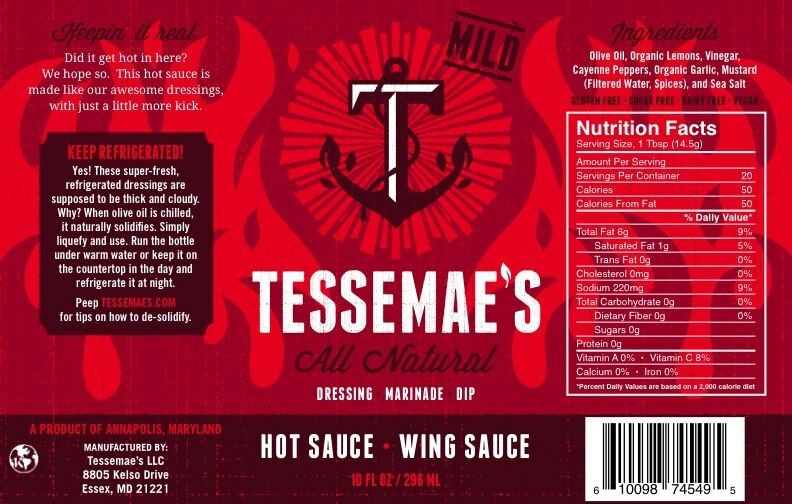 The real deal (not the bright orange French dressing of supermarket fame). 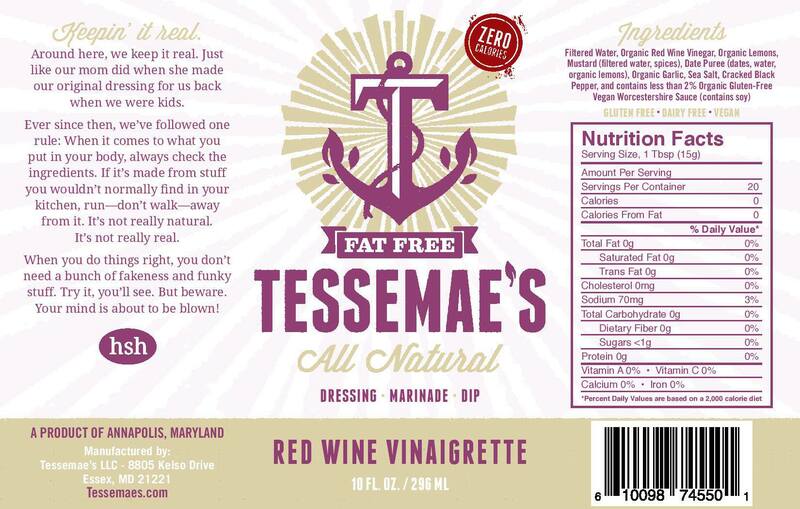 Olive oil, red wine vinegar, mustard, organic honey, and spices form the basis of this true French dressing. 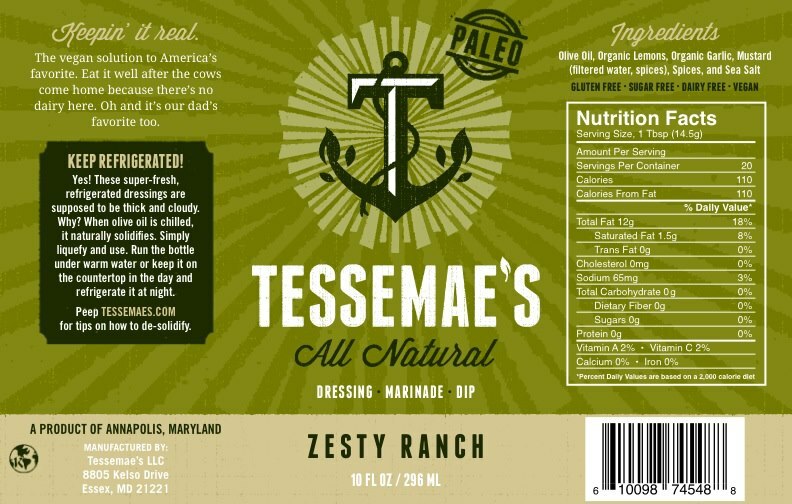 Green Goddess: This is not the goopy green salad dressing of the 1970’s but instead a modern twist on a classic salad dressing made with olive oil, lemon juice, red wine vinegar, low sodium (and gluten-free) soy sauce, spices, garlic, and mustard. 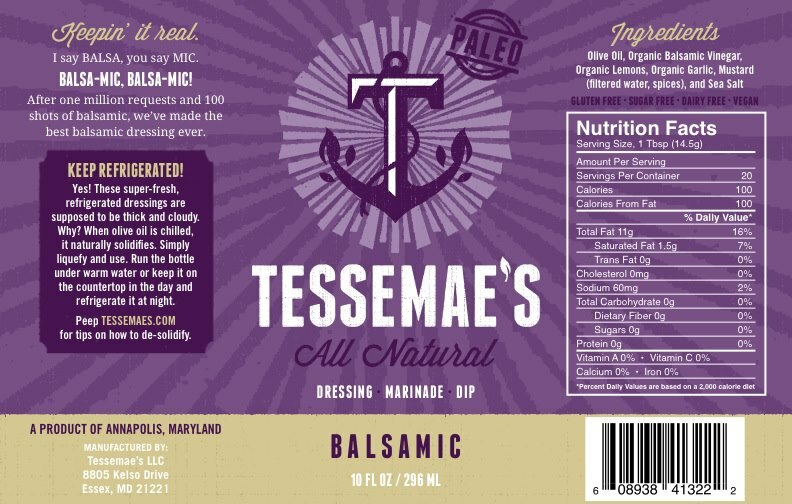 The 10 ounce tasty (and very cool looking) bottles of salad dressing can be purchased nationwide in the refrigerated section at Whole Foods Market for about $5 or on-line through the company at www.tessemaes.com. Take the bottle out of the refrigerator a few minutes before needed and shake well before using. Store unused portion in the refrigerator. 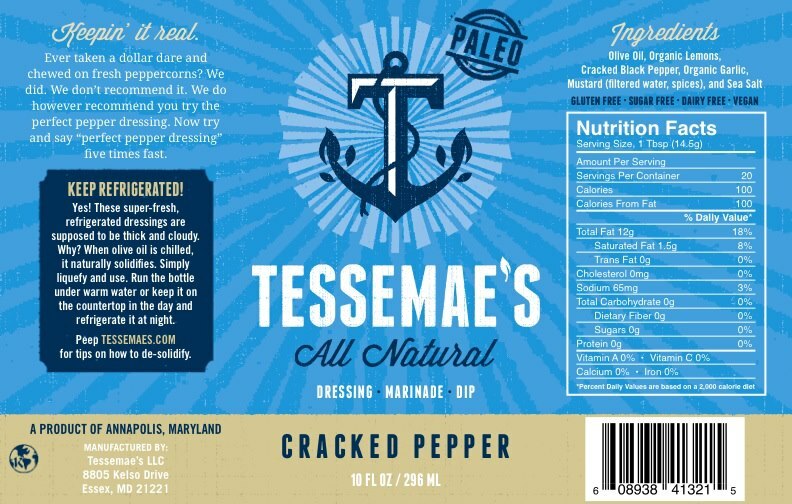 where can I buy tessemae’s cracked pepper dressing?